KENDALL COUNTY JUNIOR LIVESTOCK is pleased to announce our Annual Junior Livestock Auction Sale for 2018! 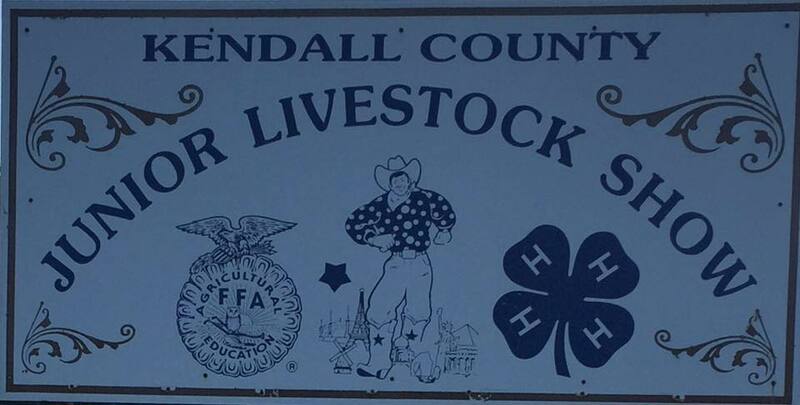 PLEASE MAKE PLANS to come out to our new home at 649 FM 289 and participate in our second auction sale to be held in the new Kendall County Youth Agriculture and Equestrian Center Barn! Your participation in this sale to support the youth of Kendall County is greatly appreciate by all...simply bring a minimum of $250.00 to register as a buyer and join us in a Members Bar-B-Que lunch followed immediately by one of the most exciting and rewarding events you may participate in all year!! !